What is your favorite music? : All kinds, depends on the mood. Favorite TV Show? : Don't watch very much TV. I like trivia shows though. Pet hate? : You mean Pet Peeve? RB: It was a dream I never thought possible come true. But while I was in it, I felt like I belonged there. KB: Did you know it would happen or was it one of those things that just happened and the next thing you knew you were playing in front of 21,000 people? RB: When I finally signed it all just kind of happened. I knew I was playing good enough but just needed the chance and eventually got it. KB: Do you look back in disappointment that your stint in the NHL didn't last longer or do you look at it like a dream come true? KB: How does an American kid in LA get involved in hockey? RB: My father was originally from Boston and moved to California in the 1950's. Most of the kids that played here were in similar situations. I am guessing the same may be the case for many Australian players. KB: Was hockey popular in LA when you were growing up? RB: Hockey in 1969 was just getting going cause the Los Angeles Kings had just started in 1967 so there was some interest out there. And then we had the Triple Crown Line. I'd like to know how many Aussie's know about that? RB: It became my favorite number in high school after I couldn't get number 9. Marcel Dionne wore 16 in LA. 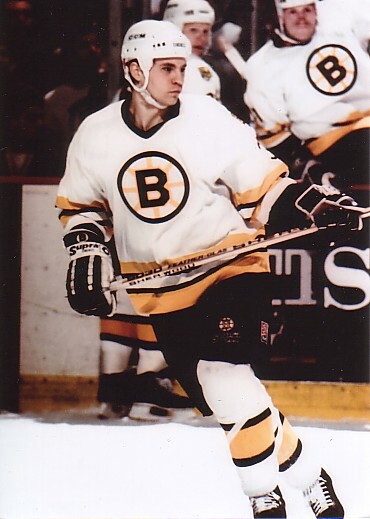 Ralph Backstrom wore number 9 when I was a kid. That one should be obvious. 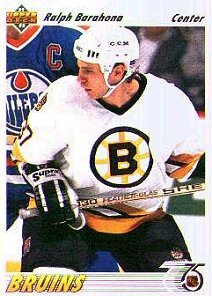 RB: Ray Bourque, because we became friends during training camp and he helped me heaps getting through it. It was great to see him win a well deserved Stanley Cup! KB: Most memorable ice hockey moment? RB: Scoring my 1st NHL goal. A close 2nd would be scoring the Championship winning goal with 10 seconds left in the game and series while playing for the San Diego Gulls in the WCHL and having my dad there to see it. KB: Most memorable inline hockey moment? RB: While playing for Team USA at the World Championships and winning the Gold medal the second time from Canada. KB: What player over your career did you most enjoy playing with? KB: What player over your career did you most enjoy playing against? RB: I have played and skated with Gretzky but not in an actual NHL game. In a real game probably Guy Lafleur. KB: Any one player leave a more lasting impression than the others? RB: Chris Nilan - He was the guy that always kept the locker room laughing and up for games. Awesome guy!! KB: While playing in the Australian Pro Tournament what did you think of the Australian players and their style of play? RB: The Australian players had good individual skills from what I saw but the difference versus North American teams would be the passing and positional instincts. Those two things can make a good team great. KB: Any one thing we should be working on to improve on an International scale? RB: Passing is very important part of the game, rather than trying to skate the puck from end to end. Even I'll pass the puck as much as possible. The puck will always move faster than the players. One place you shouldn't pass to much is in the shooting zone. If you have the shot, take it. 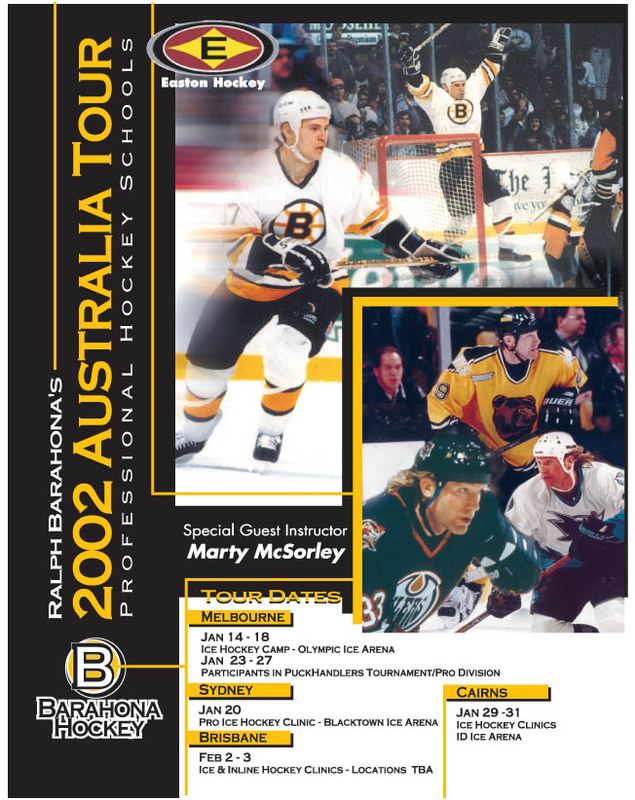 KB You have played in the NHL for the Boston Bruins and USA at the World Championships a couple of times. Which do you prefer ice or inline? Why? RB:I prefer Ice just because I can control my skating much easier and Ice is just much faster speed wise and I enjoy that. 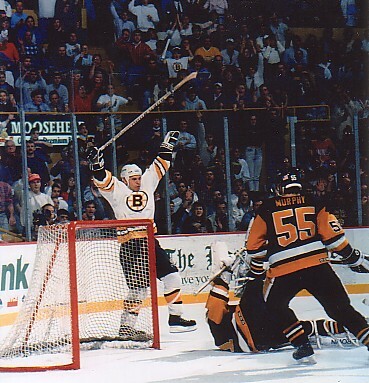 The Boston Bruins will always win out over the World Championships. Sorry Karl. KB Which has more potential in the USA? RB: More people will play Inline because it's less expensive to play, But for those looking to go to college or play pro hockey then Ice has more potential. But knowing how to play inline can help you in ice and I show how in my clinics. KB: Any advice for the juniors and Australian players who were dumbfounded by your skills? By the way we are all still trying to get our heads around that backhand. WOW! RB: Practice, Practice, Practice. 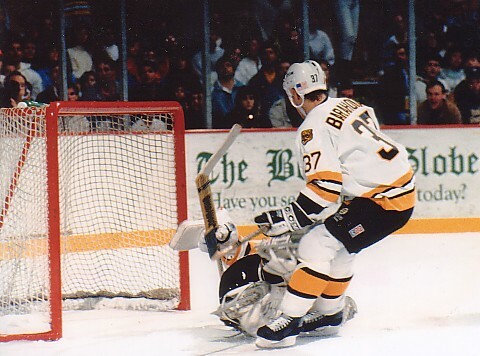 I used to practice my backhands after every practice during my college and pro career. Much like you Australian players I grew up in a place (Los Angeles, California) where hockey players aren't supposed to be produced. I managed to beat the odds and you can to if you are willing to make sacrifices. If you get lucky and manage to pull it off, suddenly it all seems worth it! KB : What is the mood like in America with the war and the aftermath of the September 11th Terrorist attacks? We are very pissed and will do whatever it takes to eliminate these kind of people from the world. It's amazing how the American people have come together in the face of adversity, the country is stronger now then ever before. KB: If you were given the chance to have Osama (In the Bin) Laden taped to the net and were given an ice hockey puck and only one shot, would you go for his nuts or hit him between the eyes? RB: If he was anywhere near me, I wouldn't even worry about the puck. The stick would work just fine.